While heavy timber construction (Type IV in U.S. building codes) is one of the oldest wood construction methods recognized in the codes, there are promising new framing technologies that have expanded what’s possible within this category using mass timber. 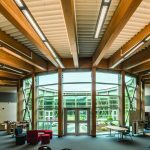 This category differs markedly from traditional lightweight wood construction more commonly seen in the U.S. and building with these new mass timber structural systems represents the first significant challenge to concrete and steel in more than a century. However, as they gain broader acceptance among building designers for a variety of low- to mid-rise building types, the next hurdle to overcome is height and number-of-story limitations set by the International Building Code (IBC), which are currently 85 feet and six stories tall, respectively. Other countries have already begun to realize the benefits of tall wood building construction, including its low carbon footprint, ease of construction and reduced construction time, to name a few. From the Brock Commons Tallwood House demonstration project in Canada to Treet in Norway, several tall wood buildings have emerged across Canada, Europe and other parts of the world as interest mounts to find safe, carbon-neutral and sustainable alternatives to incumbent structural materials of the urban world. To address current barriers and help create a pathway for high-rise mass timber buildings in the United States, the International Code Council (ICC) formed an Ad-hoc Committee on Tall Wood Buildings in 2015 to research the building science of tall wood buildings. This is a multi-year effort supported by numerous working groups made up of stakeholders, design professionals, code officials and other interested parties who are investigating the feasibility of and taking action to develop code changes for the use of mass timber in taller or “beyond current code” buildings. The goal is to introduce code provisions for the 2021 code cycle, with non-structural provisions expected to be submitted for consideration during 2018, and structural provisions to be submitted for review and approval during 2019. 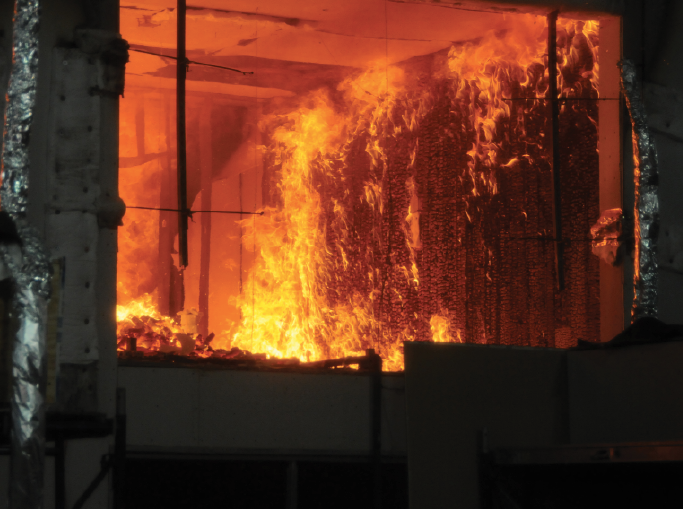 As part of this work, the American Wood Council (AWC) and the U.S. Forest Service Forest Products Laboratory have partnered with the Ad-hoc Committee to conduct research and testing necessary to understand the performance and validate the fire safety of mass timber buildings. This summer, five fire tests were completed in a full-scale, multi-story mass timber apartment building with promising results. 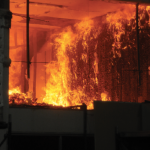 Based on test data so far available, mass timber provided the kind of fire safety performance that should allow its use in larger buildings and even expand the option for exposed wood structure in smaller projects. 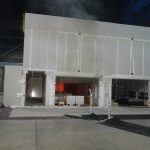 The recent fire tests were intended to demonstrate that it is possible to construct a mass timber building with exposed wood while maintaining fire resistance and limiting contribution to fire growth. The Ad-hoc Committee provided each of the five fire scenarios for two, one-bedroom apartments with various arrangements of exposed and unexposed cross-laminated timber (CLT), with open doors between living and sleeping areas. 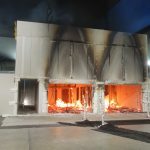 The tests were conducted at the U.S. Bureau of Alcohol, Tobacco, Firearms and Explosives Fire Research Laboratory, the world’s largest research laboratory dedicated to fire scene investigations. 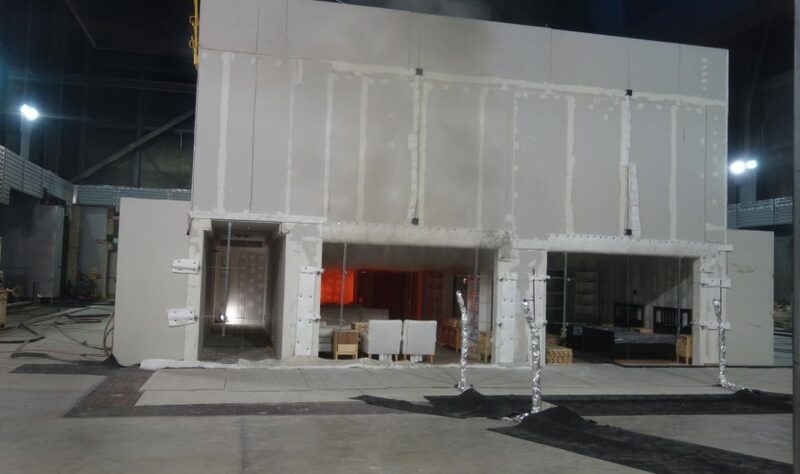 • Test 1: A mass timber structure fully protected with gypsum wall board subjected to a large furnishings and contents fire. 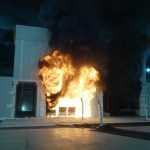 The test was terminated after three hours without any significant charring on the protected wood surfaces of the structure. 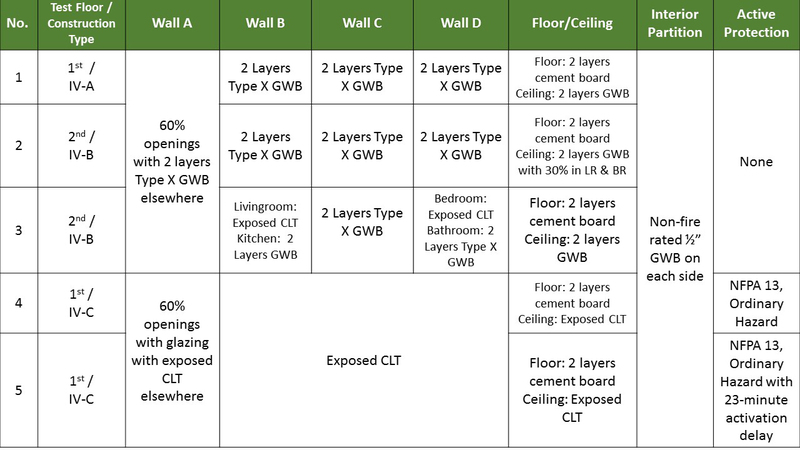 • Test 2: Thirty per cent of the CLT ceiling area in the living room and bedroom was left exposed. 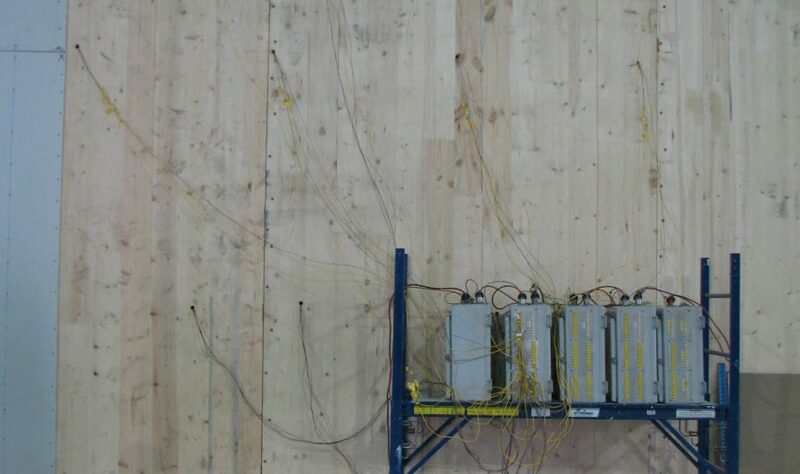 The test was terminated after four hours, providing additional time to determine if there would be any significant fire contribution from the exposed CLT. Notably, once the furnishings and contents had been consumed by the fire, the exposed CLT essentially self-extinguished due to the formation of char that protected the underlying wood. 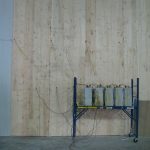 • Test 3: Parallel CLT walls were left exposed with 30 feet of separation, one in the living room and one in the bedroom. Similar to Test 2, once the apartment furnishings and contents had been consumed by the fire, during which a protective surface char formed on the CLT, the mass timber surfaces essentially self-extinguished. • Tests 4 and 5: These two tests examined the effects of sprinkler protection. For both tests, all mass timber surfaces in the living room and bedroom were left exposed. Test 4 demonstrated that under normal operating conditions, a single sprinkler easily contained the fire. 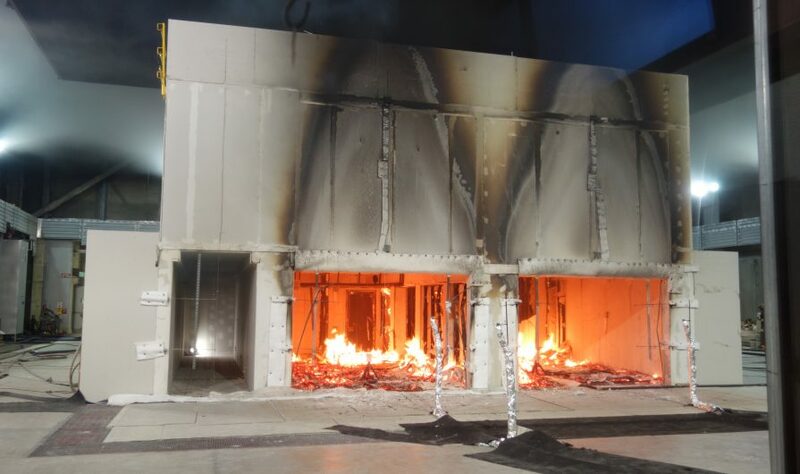 For Test 5, the fire was allowed to grow in the compartment for 23 minutes before water was supplied to the sprinklers, which quickly controlled the fire. While the fire test data is still being analyzed, the initial results and findings are extremely promising. AWC and its partners will continue to study the data, which will ultimately help inform code change recommendations from the Ad-hoc Committee later this year. 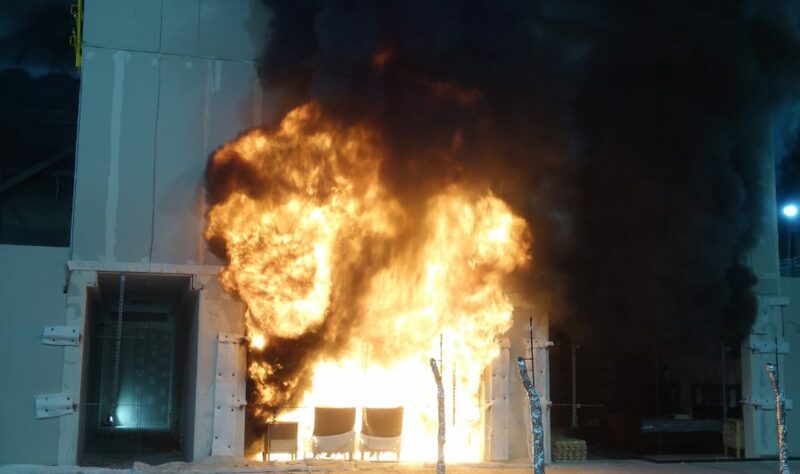 A General Technical Report FPL-GTR-247 on the fire tests will also be available from the Forest Products Laboratory in the coming months. 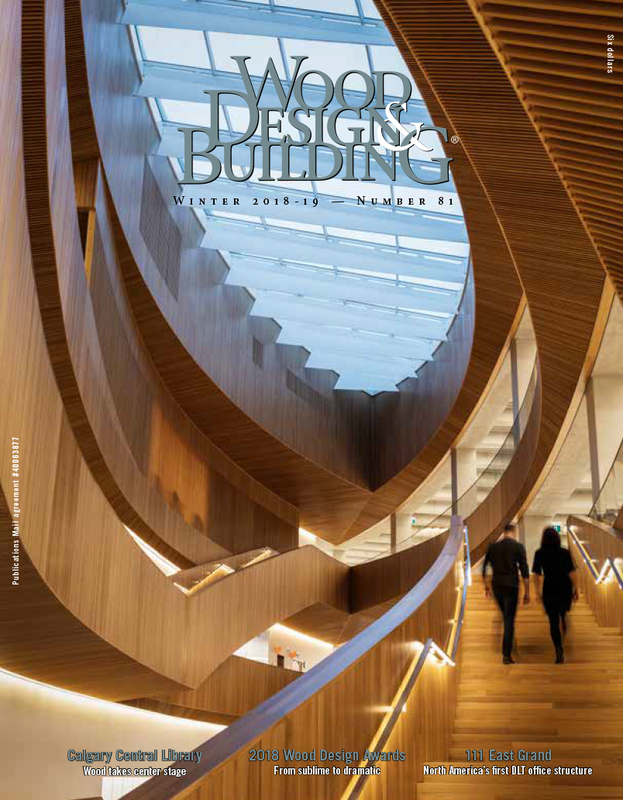 In Canada, where several demonstration projects of tall mass timber buildings have been built, current building codes also place limits on prescriptively permissible maximum heights of wood buildings. Importantly, however, discussions similar to those taking place within the ICC Ad-hoc Committee are also occurring in the Canadian national model code process, with the goal of implementing code changes to permit tall wood buildings in the 2020 model National Building Code of Canada. As a result, it is expected that the research undertaken by the Ad-hoc Committee also will be very useful in Canadian code deliberations. 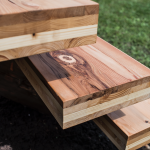 With technological advances in mass timber and other wood products regularly affecting the industry, AWC is committed to advancing these new technologies in the codes in a manner that foremost protects public safety. 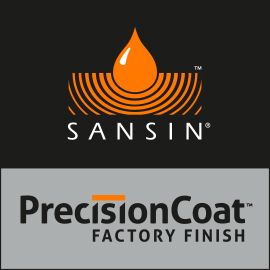 Backed by this fire test research, we will continue advocating not only what is permissible using wood, but also to what is possible using wood. To learn more, visit www.awc.org/tallwood. Kenneth Bland, P.E., is the Vice President of Codes & Regulations at the American Wood Council (AWC), which represents the interests of the North American wood products industry that provides approximately 400,000 men and women in the United States with family-wage jobs. On behalf of the industry it represents, AWC is committed to ensuring a resilient, safe, and sustainable built environment. To achieve these objectives, AWC contributes to the development of sound public policies, codes, and regulations which allow for the appropriate and responsible manufacture and use of wood products. One Response to " Fire Testing Completed on Full-Scale Mass Timber Building with Promising Results "